Activists warn of further restrictions on Rohingya refugees in southeastern Bangladesh following recent communal violence. “Rohingya refugees in Bangladesh will likely face more restrictions on their movement or arrests and push-backs,” Chris Lewa, director of the Arakan Project, an advocacy organization for the Rohingya, told IRIN on 12 October. 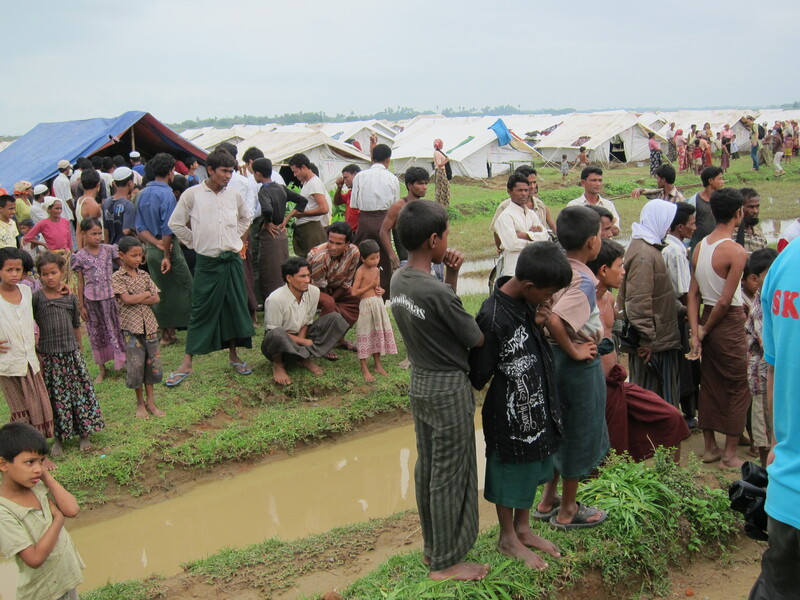 “Refugees International is concerned about the talk of further restrictions being imposed on Rohingya refugees in the Cox’s Bazar District of Bangladesh,” said Melanie Teff, a senior advocate with Refugees International. The Rohingya - an ethnic, linguistic and religious minority who fled persecution en masse from Myanmar’s neighbouring Rakhine State decades ago - have long had a tenuous relationship with the Bangladeshi authorities who view them as illegal migrants. Under Burmese law, they are de jure stateless and face constant persecution, say activists, while in Bangladesh they are barred from employment. According to the UN Refugee Agency (UNHCR), there are more than 200,000 Rohingya in Bangladesh today, including more than 30,000 documented refugees living in two government-run camps [Kutupalong and Nayapara] within 2km of the Burmese border. UNHCR has not been permitted to register newly arriving Rohingya since mid-1992. The vast majority of Rohingya are living in villages and towns in the area and receive little to no assistance as UNHCR is only allowed to assist those who are documented. On 1 October, Bangladesh Home Minister Mohiuddin Khan Alamgir accused the Rohingya of involvement in a series of attacks on minority Buddhist temples and homes in the southeast. The violence was reportedly triggered by a photo posted on Facebook that insulted Islam at the end of September, resulting in some of the worst sectarian violence in Bangladesh in years. Thousands of Muslims went on the rampage in predominately Buddhist areas, setting ablaze temples and monasteries, resulting in dozens of homes burned. "The attacks on temples and houses in Buddhist localities in Ramu and neighbouring areas in Cox's Bazar (district) were perpetrated by radical Islamists," the minister told reporters. "Rohingyas and political opponents of the government were also involved in the attack,” he added, describing the incident as a "premeditated and deliberate attempt" to disrupt communal harmony. Following the violence, law enforcement agencies were instructed to restrict the movement of Rohingya refugees and curb their interactions with the local community - a move confirmed by refugees on the ground. “New check posts were established and we are facing abnormal restriction after the Ramu incident,” a 20-year-old Rohingya youth, who asked not to be identified, told IRIN by phone. The impact of these events in Myanmar is also a concern. “What’s happening in Bangladesh will only exacerbate communal tension inside Rakhine State,” Lewa said. In June 2012 violence flared in Rakhine State forcing tens of thousands of Rohingya to flee both within Myanmar and across the border. According to Myanmar government estimates, more than 70,000 people are now living in temporary camps and shelters following inter-communal conflict. Of particular concern is forced segregation and protracted displacement in the state capital, Sittwe, where Rohingya who lost their homes in the violence have been moved into camps, says Refugees International. Despite repeated advocacy efforts by UNHCR, civil society and the diplomatic community, Bangladesh decided to close its borders to persons fleeing the country. Those who managed to make it to Bangladesh were rounded up and sent back. However, there are no reliable figures on the number of arrivals and the number refouled. Bangladesh is not a signatory to the 1951 Refugee Convention or its 1967 Protocol.